Diego Costa: We take a look at the events that led to his decision to stay until the summer. Diego Costa remains a Chelsea player until the end of the season when it is expected that he will leave Chelsea for China. Here on Chelseadaft, we investigate the sudden turnaround. 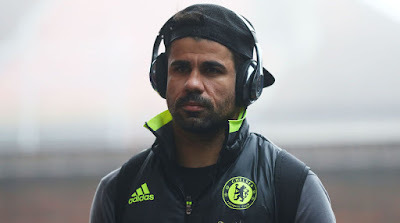 It looked just a few days ago like Diego Costa's days at Chelsea were numbered after a training ground bust-up with Antonio Conte and one of our Fitness Coaches led to Costa being dropped from the first team for the victory at Leicester on Saturday evening. Despite the fact that Antonio Conte re-iterated that the player was injured with reported pain in his lower back leading to him missing training for three days, it became clear to all of us that the Premier League's leading scorer had been approached by the money men in China and offered an extortionate amount of money to make the move this month to the Far East and join Tianjin Quanjian. Post match at Leicester, Conte responded when asked if the Spanish Striker would ever play for Chelsea again, with a simple "Why not?" He had spent the previous five minutes discussing Costa's absence and urged the Media to believe what he had told them to be true - Costa was injured. As the subject of Costa was brought up for discussion again, Conte was then quick to shut the Journalist down and claim that "talking of a player who was not involved in the game was disrespectful to those that had beaten the Champions 3-0 who gave a fantastic performance and reaction to the previous defeat to Tottenham" and that was that with Conte indicating that the Chelsea squad would return to training on Tuesday this week. Reports on Sunday stated that Diego Costa would meet with Antonio Conte on Tuesday to discuss their problems as the Manager was keen to re-iterate just how important he was to our title challenge this season. He trained alone at Cobham on Monday with the players having an additional day off. "Our club had a massive investment plan for the new season but it was tightened up by the new rules (only three foreign players permitted in matchday squads from four). I made an appointment with Mendes and he came to my hometown to visit me. At that time, we were interested in signing Costa. PSG told us Cavani would only be allowed to leave in June, even though the player himself was willing to join us. The same can be said for Costa because Chelsea would only let him leave in June. However, the new season of CSL will almost reach the halfway stage in June, we can’t wait so long." Later in the day, Diego Costa was photographed participating in training with the rest of the first team with it seeming like all has been forgiven and he is now available for selection against Hull on Sunday. It's massive turnaround and an intriguing chain of events of which I am 100% certain Roman Abramovich is involved with. Despite the Super Agent Jorge Mendes trying to broker a deal for Costa, it seems that Roman Abramovich has made his feelings very clear to Mendes, Tianjim Quanjian and Diego Costa that he will NOT be sold and is going nowhere until the end of the season. You have to hand it to Roman, he will not be bullied by anyone into selling and especially the player himself who was rumoured to have been involved in the situation last season with Jose Mourinho. Added to that, the rule changes implemented by the Chinese Super League are now aimed and trying to stem the tide of this massive investment in foreign players on ridiculous wages. The teams now have to adjust their transfer policy to adapt to the restricted number of foreign players within their squads as whole and on match days. Based on Roman and the rule changes, it seems as though Diego Costa literally has no choice but to sort things out here and to refocus on playing for Chelsea until the end of the season. Chelsea with Costa in the team over the course of a season are a better team through the duration of the season than without him I am certain despite the excellent performances against Bournemouth and now Leicester. It will be interesting to see how the Chelsea faithful react to Diego Costa at Stamford Bridge against Hull City on Sunday afternoon. I am sure that a certain element will want to make their feelings known initially, but that will blow over as we move forward into the game. 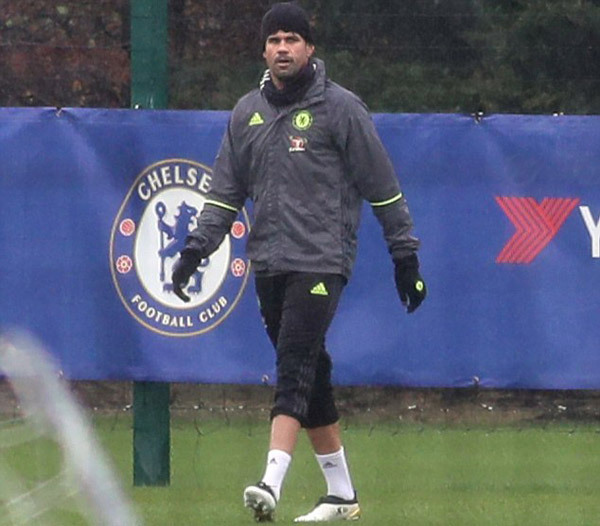 Diego Costa remains a Chelsea player once again at least until the end of the season. Despite his goals and his performances, he has never really seemed settled as we face a third summer having to put up with continuous speculation over his immediate Chelsea future. This time it appears to be the last.